If you are planning to travel to Slovenia, you already know, the country is sure worth the visit. Even though Slovenia is small, it has all kinds of things to offer and each region has its own beauties and characteristics. We have explored Dolenjska region in Slovenia as a family trip. More places we visited, more we were impressed over the region. Why you should visit Dolenjska? How does a tiny island in the middle of Krka River, where magnificent castle stands tall, sounds? Amazing, right? Castle Otočec is very popular as a trip destination during a sunny day among Slovenian people. 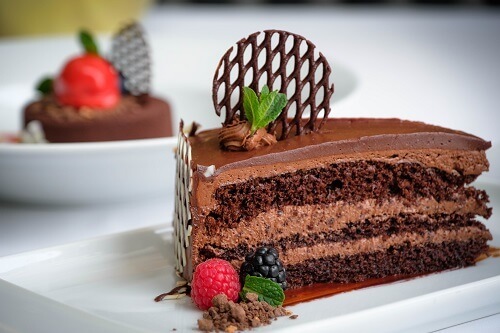 They drive here, take a walk and enjoy a delicious cup of coffee with a cake in its gorgeous outdoor cafe. 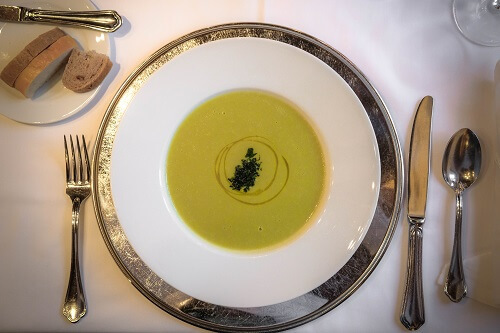 If you really want to enjoy upscale culinary, book a table in the castle’s restaurant and enjoy in its design and tastes. 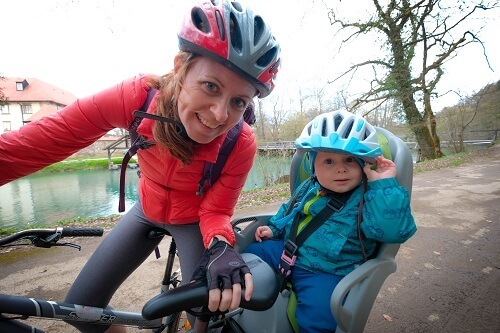 Cycling on the back roads near Otočec normally starts at the Castle Otočec. There’s a parking space where locals leave their cars and enjoy the back roads, which leads you to different sites close by. 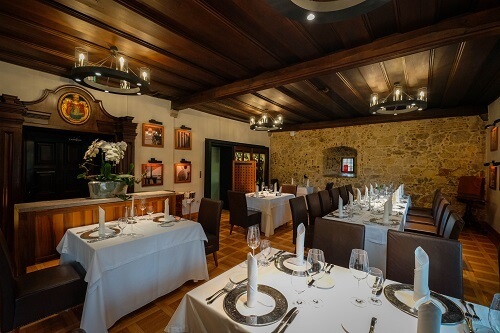 The gold court at Otočec is set in a beautiful setting, surrounded by lush forest, having 18 holes all together. 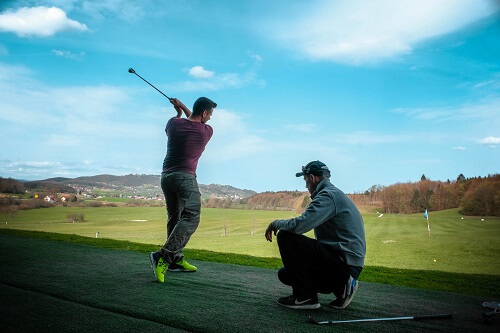 You can enjoy playing golf and staying in the two nearby hotels – one is 5 star boutique hotel in the Castle of Otočec, part of Relais Chateaux, and the other is Hotel Sport, a 4 star hotel not far from the castle either, offering indoor swimming pool and saunas. It has a clever design, as half of the hotel rooms has already been renovated and has a cool sport look, including exercising equipment right in your room. We stayed at the hotel Sport and can recommend it as a nice place for families. 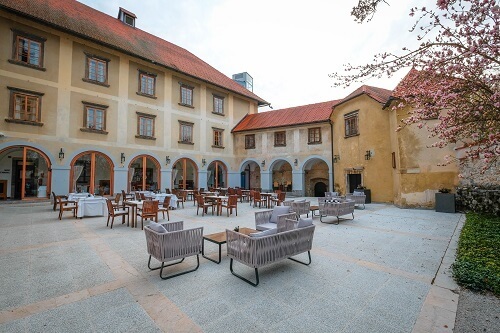 We were staying in the Hotel Šport, but not far away are also two spa centers – one is called Dolenjska Toplice and the other Šmarješke Toplice. All have pools, saunas, massages etc. Are you into adrenalin? 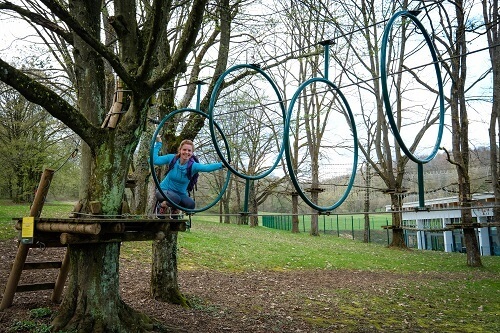 Young or old, spending time in Adventure Park Otočec will sure leave you with memories. It is also great fun and spending quality time with family or friends this way is priceless. If you are based in hotel Castle Otočec or Hotel Sport, there are many walking paths worth taking. One of the more scenic ones is to the Old Castle (Stari Grad). 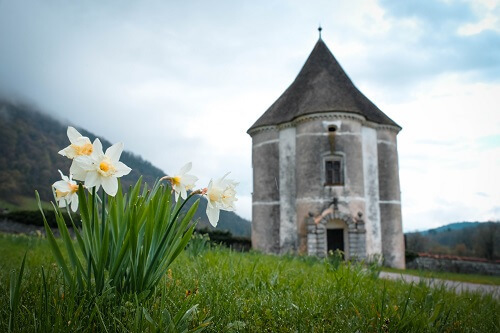 The Old Castle is unfortunately closed for visitors, but seeing it from the outside, walking further up among vineyards and take in the views will not let you down. The town Kostanjevica na Krki is the oldest and also the smallest town in Dolenjska region. It is set on the artifical island and it is a nice place to relax and taking it easy. Taking a ride along the Krka River is really scenic. Make sure to stop at the Žužemberk castle. If you don’t have much time, just enjoy the views of it by crossing the Krka River. 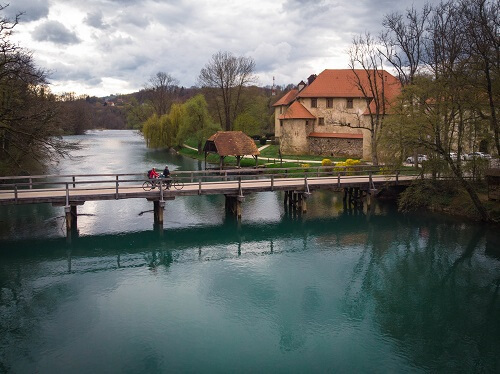 Few years back the natural spring Klevevž was a well-kept secret among locals, but due to the social media, this place started to become more and more popular. No wonder, as it is beautiful there. We would recommend you to visit it during the week. The water spring has 24,8°C, so make sure to bring bathing suit and a towel with you. Just steps away is also small, but nice waterfall. Don’t worry, the Devil’s tower is not haunting. The name actually got because the owner once a time, was having joyously parties. The most vexed was the fact, he first slept with every bride on her first wedding night. There was once magnificent castle, but not much is left now, except from the Devil’s tower, which once was a pavilion in the middle of the park. It might not sounds much, but it blow my mind completely… It is so beautiful there – especially in the spring time, where 1000 daffodils are in full bloom. And to top it all of there’s even a swing, so bring your camera! 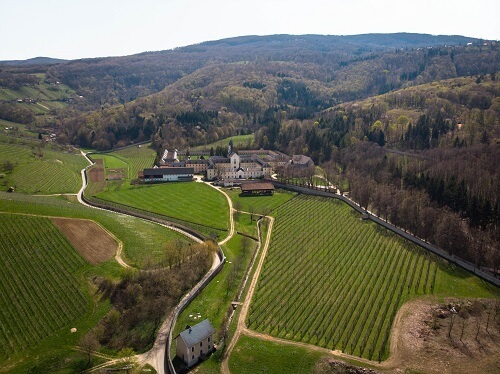 The Pleterje monastery is the only running Carthusians monastery in Slovenia. Due to the strict order of the monks, it is not allowed to visit the monastery, but nevertheless, you can step in the formal gothic church, where you can watch the projection of the monk’s every day life. 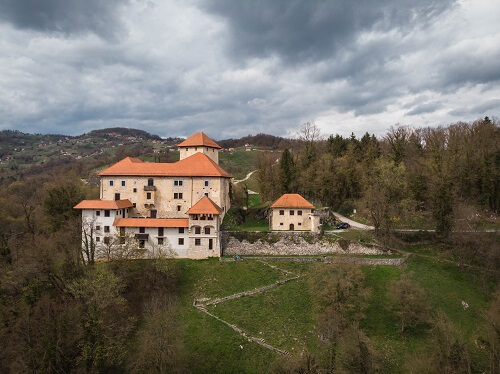 The Pleterje monastery was established in 1403 and is the only running Carthusians monastery in Slovenia. 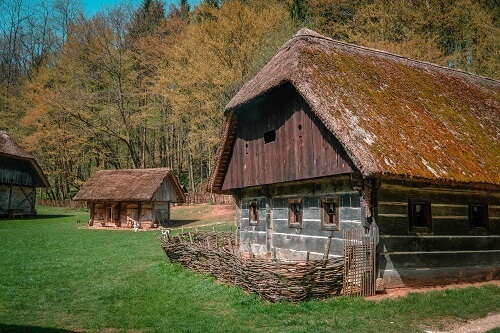 If you are into history and want to know how a local village life in Dolenjska once looked, visit the open-air museum Pleterje. It is small, but it can really give you the right idea. Not to mention, the farm animals are all around the place freely, what your kids will enjoy for sure. The Carthusians monastery is the strictest order in Rhome Catholic Church, but nevertheless, the monastery in Pleterje is extremely business oriented. They have a fast area with vineyards and orchards. No wonder there monastery shop offers a vast number of home-made wines. Their specialty is the pear in spirit and bitters with 49 different herbs. Make sure to taste some, when there. 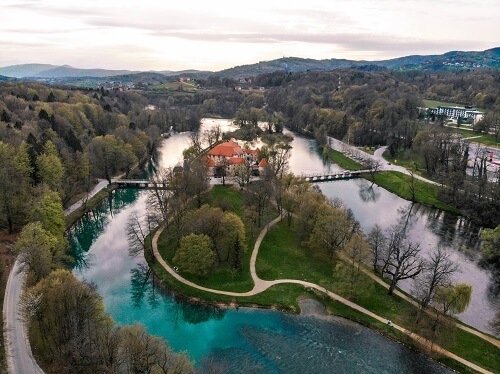 No matter what will be your main reason to visit Dolenjska during your travel to Slovenia – one thing is certain – everyone can find something for themselves there. And honestly, you will realize how unique, special and rich a small country like Slovenia really is.